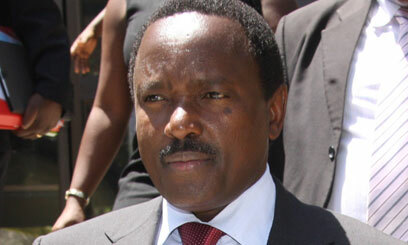 There are rumours doing rounds that VP Kalonzo Musyoka is next on the chopping board after DP Ruto in a clandestine move to offer President Uhuru a political lifeline as his 2nd and final term comes to an end with nothing to show for the 10 years. Uhuru will go down as the president who enjoyed super powers but instead presided the most shamelessly corrupt regime that destroyed all gains made by the Kibaki/Raila regime and pushed Kenyan to a dangerous economic cliff. The country is on the red when it comes to public debt levels and economic growth are best on paper as millions slide to extreme poverty and international companies cut operations in Kenya relocating to other countries. That the move to weaken Kalonzo and give Uhuru a competitive edge was clearly outlined albeit discreetly when Mt Kenya controlled media misrepresented facts by wrongly reporting that Kalonzo had asked for extension of Uhuru’s term. Kalonzo just reiterated what Orengo and the rest of the ODM cast has been suggesting that they would be open to an Uhuru premiership. But since it’s Kalonzo who said it, and because we want to sustain the narrative of portraying him as this as-slicker, who is Kanu baba na Mama then we tweak it just a little bit. Since 2013, Kalonzo has remained a principled-leader whose steadfastness and sacrifices ensured that Raila’s opposition remained steadfast. He could have done a handshake before 2017 if he wanted, but never did. Plus he hasn’t amassed as much wealth for himself, while he was in strategic position to do so. Folks like Moses Kuria and Murkomen are probably richer now than Kalonzo is after just 5 yrs in politics & govt compared to Kalonzo’s 30. He is among the least corrupt and God fearing that we have in the system, can’t we be grateful for that? Didn’t he say it from his mouth infront of cameras. Previously didn’t he say he’s willing to be Uhuru’s mtu wa mkono? This water melon approach to issues is his own undoing. Why does he sound so desperate? Political saboteurs, like David Murathe and his new political flunky, Kalonzo Musyoka, always talk about themselves and relish the power they have over ordinary Kenyan citizens they have subdued with their power and terror! Most of these Kenyans live in slums! During his booty licking press conference named “Kamarock Declaration” , Kalonzo Musyoka never uttered one word about plights millions of poor Kamba citizens who are going through economic turmoil due to the fact that his sponsors, David Murathe and his Mt. Kenyan cartels, have never, never allowed any public funds earned by dispensing the public Kenyan resources to the foreign cartels trickle down to 99.9% of the rest of the Kenyan citizens! Kalonzo Musyoka and David Murathe have multiple homes and properties in Kenya and bank accounts hidden outside Kenya. Kalonzo Musyoka has his healthcare and that of his family taken care of outside Kenya due to the fact the since12/12/1963 (over half a century ago), corruption has prevented Mt. Kenya cartels from constructing one single well equipped hospital where these wealthy Kenyan elites can be hospitalized in Kenya! Kalonzo would like approval and votes from the poor Kamba nation to meet the directives given to him by Mr. Murathe, most likely in exchange for some political payoffs promised to him!! NOTHING WAS PROMISED TO THESE POOR VOTERS!! He is among the least corrupt and God fearing that we have in the system, can’t we be grateful for that? God fearing?? PLEASE, SAVE THE WORDS!!! God fearing people do not use and abuse the poor voters! !